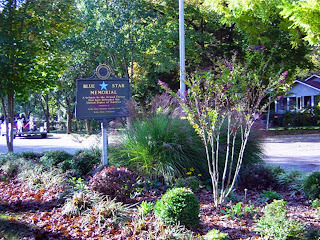 Blue Star Memorial Markers are located across the United States to pay tribute to the U.S. armed forces. The National Garden Clubs, Inc., started the program in 1945 after WWII. Markers are displayed along highways and used in National Cemeteries, parks, veterans facilities, and gardens. The committee takes care of the planting at the Blue Star Memorial Garden at the Hwy 71 Visitors' Center in Bella Vista. 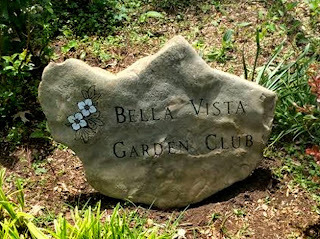 New shrubs and plants are added, trimmed and beds are weeded on a regular basis. Who kept the faith and fought the fight; the glory be theirs, the duty ours.